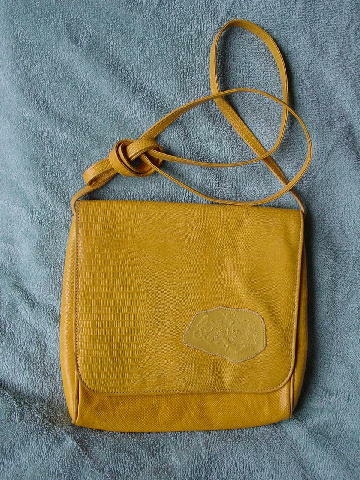 This sunshine yellow purse is by Carlos Falchi and has an embossed lizard pattern. It has a 57" long shoulder strap and a magnetic closure under the front flap. The front flap has a logo patch on the lower right side in a lemon yellow. 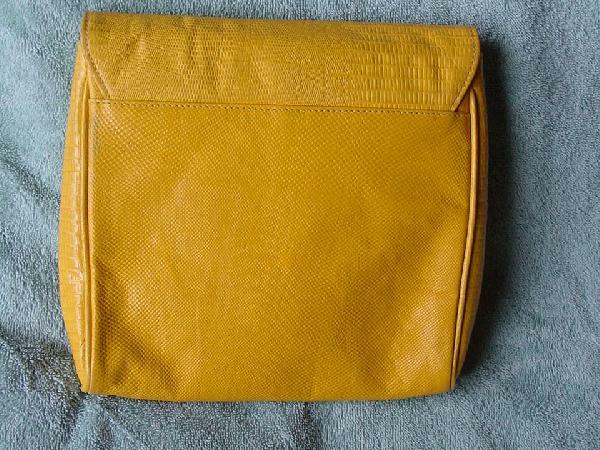 The interior is in a bright yellow manmade material with a large open zipper pocket with a Carlos Falchi tag sewn on the front below the zipper. There is a dark gray area on the left side by the upper horizontal seam.